Steve Matson? Never heard of him! I'm Steve Matson -- a ConTechs Associate who comes to this initiative with diverse experience in industrial, academic, and volunteer organizations. In particular, I have been an industrial researcher, an entrepreneur, a practicing chemical/biological engineer, and a manager; an engineering professor and project advisor to students; and a volunteer leader in various professional societies. I elaborate on my reasons for starting ConTechs in a "mini-history" commissioned by the University of Pennsylvania and by AIChE on the occasion of the latter's centennial celebration. Feel free to scan the Summary below for career highlights (?) and technical interests -- and/or jump ahead for the gory details of my Education, Employment History, and Professional Recognition/Activity. Dr. Stephen Matson, ConTechs' Founder and Principal, has worked in several areas of separations and biotechnology. Most of his career has been spent in industry, but he taught briefly at Worcester Polytechnic Institute and more recently joined Tufts University as Professor of the Practice in its Department of Chemical and Biological Engineering. In 1984 Matson co-founded Sepracor Inc. to commercialize his research in membrane reactors as applied to chiral separations; this public company currently develops and markets improved single-isomer and active-metabolite pharmaceuticals. He has also participated in starting several other technology companies in fields as diverse as combinatorial chemistry, chiral synthesis, biochromatography, and blood filtration. His current technical interests include functional membranes as platforms for advanced chemical processing (e.g., membrane reactors, process intensification, and high-throughput DNA sequencing) -- and on appropriate chemical technologies relevant to ConTechs' aims. Matson received the Professional Progress Award of the American Institute of Chemical Engineers in 1993, and that organization honored him again in 2008 by designating him as one of "One Hundred Chemical Engineers of the Modern Era". He is a Fellow of the American Institute for Medical and Biological Engineering. In 1995 he was elected to the National Academy of Engineering. B.S. and M.S., Chemical Engineering, Cornell University, 1971 and 1974. Ph.D., Chemical & Biochemical Engineering, Univ. of Pennsylvania, 1979. 2008-present: Professor of the Practice, Dept. of Chemical and Biological Engineering, Tufts University. 2004-present: ConTechs Associates Inc., Harvard, MA. Founder and principal. 1990-present: Arete Technologies, Harvard, MA. Consultant in areas of membrane processing, bioseparations, chiral separations, biocatalysis, and intellectual property management. 2001-2003: Francis Manning Professor of Chemical Engineering, Worcester Polytechnic Institute, Worcester, MA (Adjunct Professor, 2001-2002). Chaired professor also active as student project advisor in Interdisciplinary and Global Studies Division. 1984-2002: Sepracor Inc., Marlborough, MA. Senior Consultant; Vice President, Science & Technology; Vice President, R&D. Co-founder and senior technology manager of company focused on pure-isomer and active-metabolite drugs, based initially on membrane systems for the production and purification of small-molecule and protein pharmaceuticals. 1982-1984: Bend Research, Inc., Bend, OR. Director of Research for firm specializing in membranes and controlled release. 1973-1982: General Electric Corporate R&D Center, Schenectady, NY. R&D on membranes, polymer processing, and bioseparations. National Academy of Engineering (inducted 1995). Director, American Institute of Chemical Engineers (1997-1999). Fellow, American Institute of Medical & Biological Engineering (1997-). Past President/Director, North American Membrane Society (1994-1997). Recipient of AIChE’s Professional Progress Award (1993). 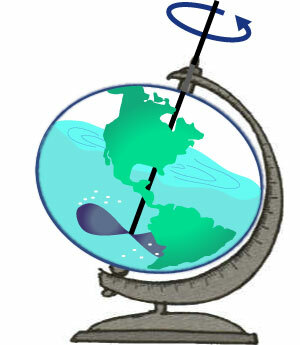 Member, Boston Professional Chapter, Engineers Without Borders. Recipient of two AIChE Service Awards (1998). Inventor on 25 issued U.S. patents. Author or co-author of 24 book chapters or journal articles. Registered Professional Engineer, State of New York. 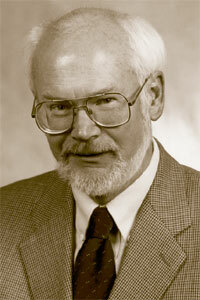 Editorial Board Member, J. Membrane Science (1984-2008).